Eclipse BaSyx is an open source platform for the next generation automation. As a reference technology platform, the BaSyx project enables large and small industries, research institutes, academia, and interested persons, to participate in the fourth industrial revolution. 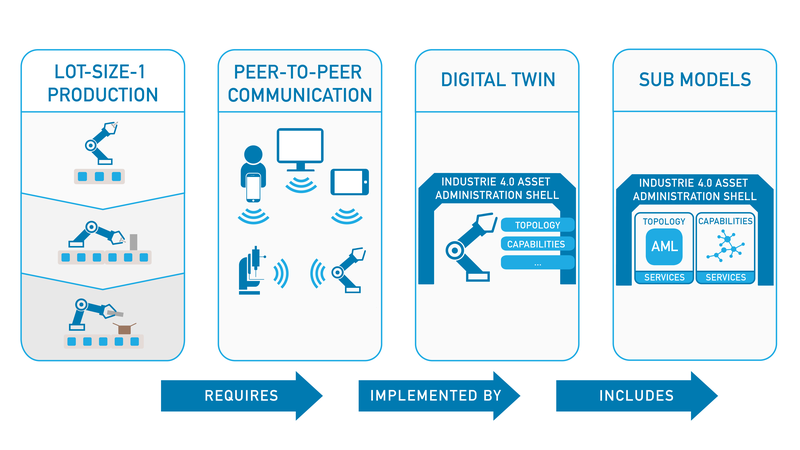 By providing common Industrie 4.0 components and an extendable SDK the platform accelerates the development of Industrie 4.0 solutions. The Eclipse BaSyx platform addresses challenges like changeable production to enable individualized goods, exploiting big data analytics and connecting heterogenous devices and systems while minimizing downtime and other associated costs. Copyright © 2019 The Eclipse Foundation.